in your garden and indoors. Herbs have long been grown for both their medicinal and culinary value. They may cure colds, help you sleep and add flavour and zest to dinner. 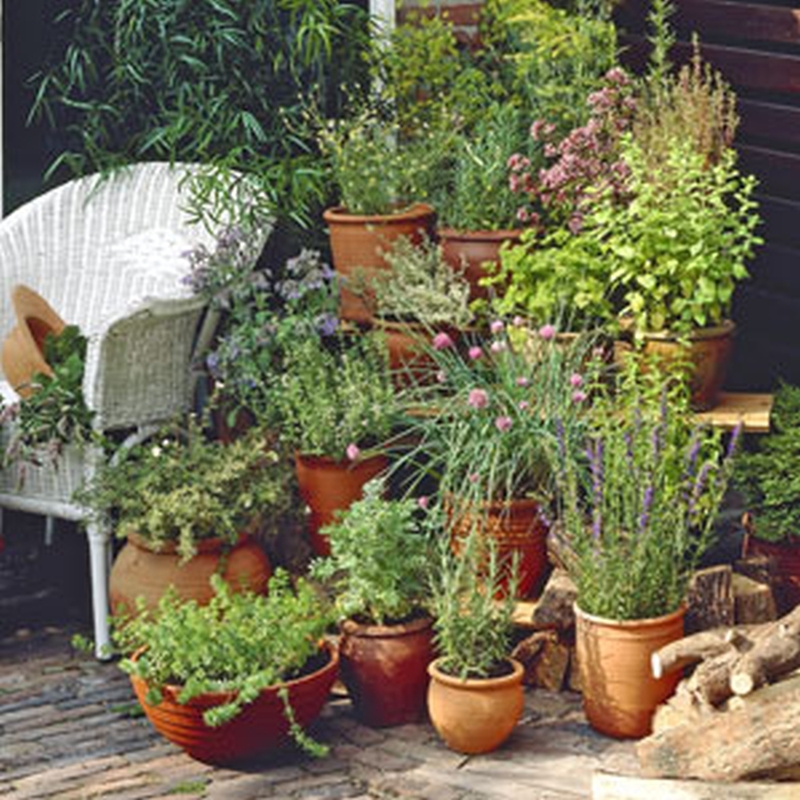 Fortunately for home gardeners, growing herbs is relatively easy. They thrive in just about any type of soil, do not require much fertilizer, and are not often bothered by insect or disease pests. Defined as a plant without a woody stem that dies back at the end of each growing season, herbs were once considered a gift of the gods. Elaborate ceremonies and rituals celebrated their growth, harvest and use. Today, herbs are popular in many home gardens, where their leaves are utilized for flavouring and an entire plant may be used for medicinal purposes. Our dry season is the best time to grow herbs. Every garden should have basil, rosemary, chives, oregano, parsley, mint, French tarragon, stevia and sage just to name a few. Stevia is a sweetener and a sugar substitute extracted from the leaves of the plant species Stevia rebaudiana. Stevia has up to 150 times the sweetness of sugar…it also has a negligible effect on blood glucose which makes stevia attractive to people on carbohydrate controlled diets. Stevia’s taste has a slower onset and longer duration than that of sugar, and some of its extracts may have a bitter or liquorice -like aftertaste at high concentrations. Great to drop a leaf or two in your tea if you like to drink it sweet. Basil is one of the most valuable plants in your garden, and is a perfect flavouring with tomatoes. They are easy to look after and they contribute much to many different types of dishes in the kitchen. The edible basil that is most familiar to most people would be Sweet or Italian Basil . The plant has large, soft, fragrant, lush foliage that is frost tender, so it grows well through the dry and throughout most of the year. Sweet Basil is the basis of many Italian dishes including popular pesto sauce, which is a combination of garlic, olive oil, pine nuts, basil and shavings of parmesan cheese. Basil plants can be grown in containers or in the ground. They are sun-loving plants so a warm location is desirable. The size of the leaves can be a guide to where they can be located in the garden. The larger the leaf the more shade they will tolerate, so small leaved plants need to capture the most sun. Rosemary grows as a small evergreen shrub and believe it or not it is related to mint. Its leaves look like flat pine-tree needles, deep green in colour on top while silver-white on their underside. Its memorable flavour and unique health benefits makes it an indispensable herb for every kitchen. Looking like a small sprig from an evergreen tree the wonderful smell and assertively pine-like fragrance and pungent flavour of rosemary goes a long way to flavour to chicken, lamb, pork, salmon and tuna dishes as well as many soups and sauces. Rosemary is evergreen but unfortunately struggles to grow through our wet season due to the rain and humidity. Herbs used properly are very often as effective as medical drugs or more so without the side effects, cost and potential for dependency. Herbs help people become enabled, instead of disabled. They leave us stronger, not weaker. Until next time, happy herb growing…..